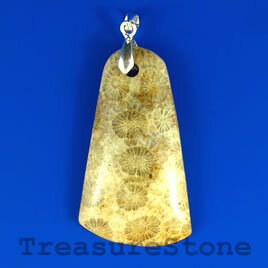 Pendant, Coral Fossil, 34x48mm. Sold individually. 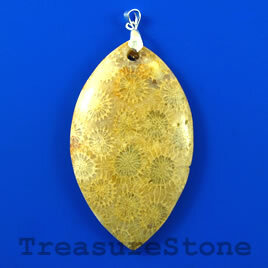 Pendant, Coral Fossil, 28x48mm. Sold individually. 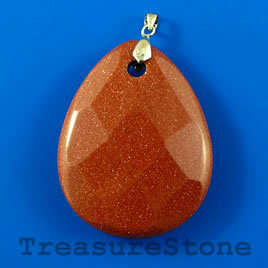 Pendant, Goldstone, 35x45mm faceted teardrop. Sold individually. 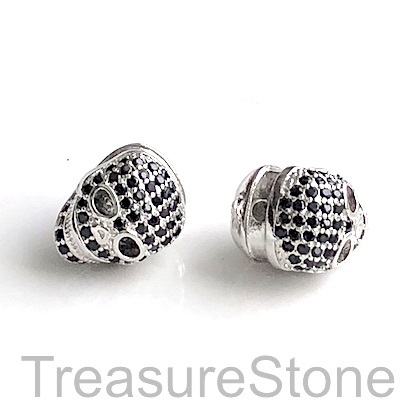 Micro Pave silver skull Beads, with black Cubic Zirconia.